For most of the world’s history, breastfeeding was the way babies ate. It did not require a social movement or national and international organizations to support, promote and protect it. Maybe some day that will be true again. For now, though, breastfeeding, like endangered species, requires protection and support across the globe. Americans love to celebrate anniversaries and birthdays ending in 0s and 5s. 2015/2016 is a celebration of (and provides a directory for) breastfeeding support world wide. La Leche League is the mother of breastfeeding organizations. It was established in 1956 in Chicago by seven mothers who wanted to breastfeed their babies and help other women do the same. LLL, now a worldwide organization, remains committed to its mission of mother-to-mother support and education. In 1977, the Infant Formula Action Coalition (INFACT) began a very successful boycott of Nestle products to protest unethical and deadly formula marketing practices, primarily in Third World countries. The boycott spread throughout the world and resulted in the UN World Health Organization passing the WHO Code for Marketing Breast Milk Substitutes. The Code continues to inform organizations, policies, legislation and practices throughout the world, related to breastfeeding and far beyond. 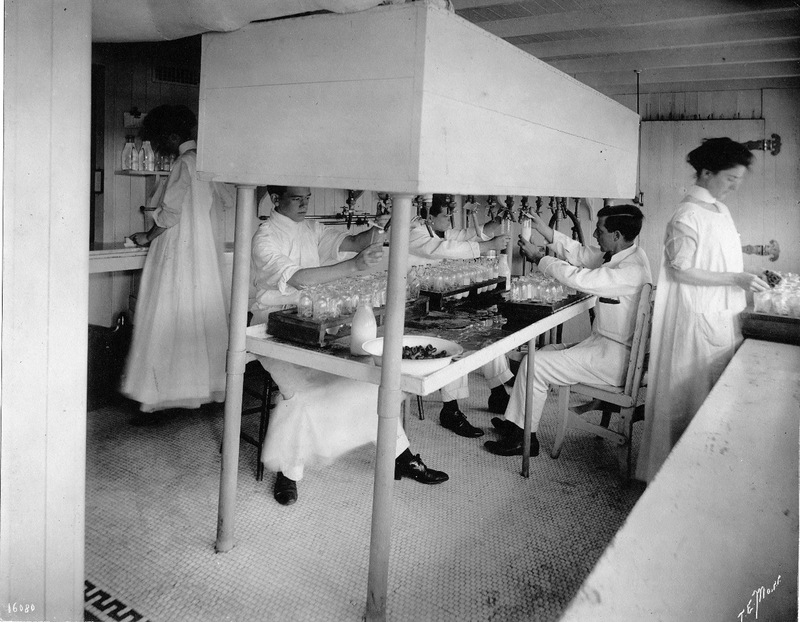 The first milk bank in North America opened in 1910. By the mid 1980s, there were 53 milk banks in North America. Justifiable fears about HIV transmission closed all but a handful of them almost overnight. These remaining milk banks established the Human Milk Banking Association of North America in 1985. Its original mission was to create evidence-based guidelines for safe pasteurized donor human milk. HMBANA is now the trade organization of 28 milk banks, which, in 2015, distributed over 4 million ounces of donor milk throughout the US and Canada. In 1991, the Innocenti Declaration, written at a WHO/UNICEF policy meeting called for governments to implement specific policy measures and agencies to support, promote and protect breastfeeding. This included a national committee to bring together stakeholders to establish and implement national priorities in this area. World Alliance for Breastfeeding Action (WABA) is a global network of organizations and individuals who work globally to eliminate barriers to breastfeeding. WABA acts on the Innocenti Declaration and works in close liaison with UNICEF. They also organize World Breastfeeding Week. The Baby Friendly Hospital Initiative was launched by WHO/UNICEF following the Innocenti Declaration. It is a global initiative with evidence-based practices to promote breastfeeding among healthy newborns in hospitals. There are 378 Baby Friendly facilities in 49 States and DC, over 20,000 Baby Friendly birthing facilities in over 150 countries worldwide. The US established the United States Breastfeeding Committee (USBC) in compliance with Innocenti Declaration call for national organized breastfeeding support. USBC now has 58 member organizations, governmental agencies, and state breastfeeding coalitions in all US states, territories and tribal lands. For decades, formula companies have offered free formula to hospitals in exchange for the distribution of promotional bags including formula samples to new mothers. Research has shown that these giveaways, seen as an endorsement from the hospital, undermine breastfeeding. Ban the Bags began its national campaign in 2006 to eliminate this profitable and harmful practice. To date, 996 hospitals have Banned the Bags throughout the US. Four states, RI, MA, DE, MD, plus DC are bag free in all their hospitals and birthing facilities. We look forward to more states coming on board soon. Our milk bank, Mothers’ Milk Bank Northeast (MMBNE), has both a 0 and a 5 year celebration this year. In 2006, a small group of dedicated people met to discuss opening a milk bank to serve our community and region. In 2011, 5 1/2 years later, we were certified by HMBANA and we processed and dispensed our first bottles of milk to babies and mothers in need. The European Milk Banking Association was established in 2010 “to promote milk banking in Europe and to encourage international co-operation between the human milk banks of the countries of Europe.” There are currently 210 active milk banks and 17 planned milk banks in 27 European countries. Congratulations and our deepest thanks to all who have worked tirelessly to achieve these organization’s missions and for the unique contribution each makes to breastfeeding support, promotion and protection. About Naomi Bar-Yam, Ph.D. - Founding and Executive Director of Mothers' Milk Bank Northeast; Immediate past President of the Human Milk Banking Association of North American (HMBANA).